According to the Bureau of Labor Statistics (BLS), women ages 16-55+ comprised 18K+, which was less than 30% of the labor force. (By contrast, working men numbered 43K+ and over 70%.) Out of the 12% of American women who worked outside the home, only 6% of women held management positions. Today, things have changed…slightly. It’s still difficult for women to climb the corporate ladder and make it all the way to the C-suite. On July 31, 2015, Facebook founder Mark Zuckerberg announced on (where else?) Facebook that he and his wife Priscilla were expecting a baby girl. He also revealed that the couple had weathered three miscarriages in the span of two years. Zuckerberg rarely posts personal things on his own site, so this was a break from routine for him. The confession earned him praise. The Zuckerbergs’ daughter Max was born on Dec. 1, 2015. Last week, Marissa Mayer, best-known as Yahoo’s CEO (one of the most-well known female CEOs in tech, if not the world), announced that she’s pregnant with twin girls. She made the announcement in a way befitting her industry: on Yahoo’s Tumblr. The twins will be the second and third children for Mayer and her husband, Zachary Bogue. Mayer gave birth to her first child, her son Macallister, in September 2012. (That year was a momentous one for her: She became CEO of Yahoo earlier in July.) 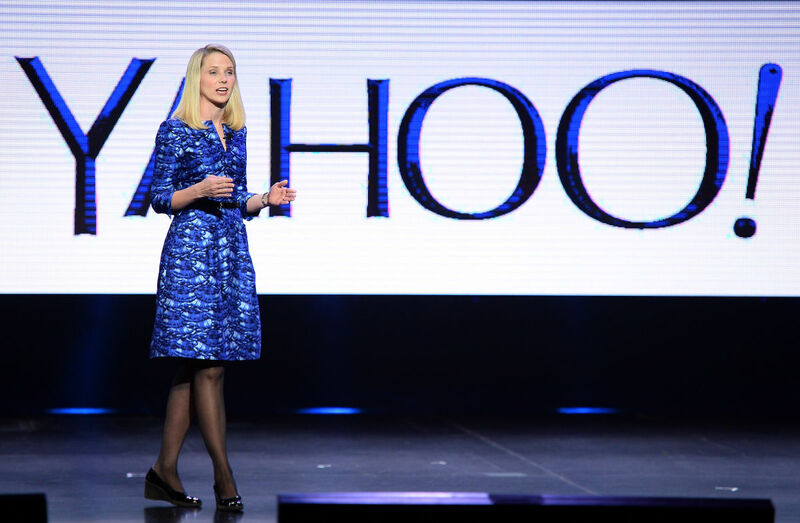 Mayer announced her pregnancy the same day that Yahoo announced her as their new CEO. Mayer has said she’ll work through her pregnancy before her due date in December. She also worked through most of her first pregnancy. After her son’s birth, Mayer famously didn’t take a break for maternity leave, returning to work only two week after giving birth. She also installed a nursery right next door to her office. It’ll be interesting to see if having to care for two babies at once slows her down at all, and if she changes her views on feminism and working from home.